This year our Resource Centre participated in the CHOGM 2015 Event. 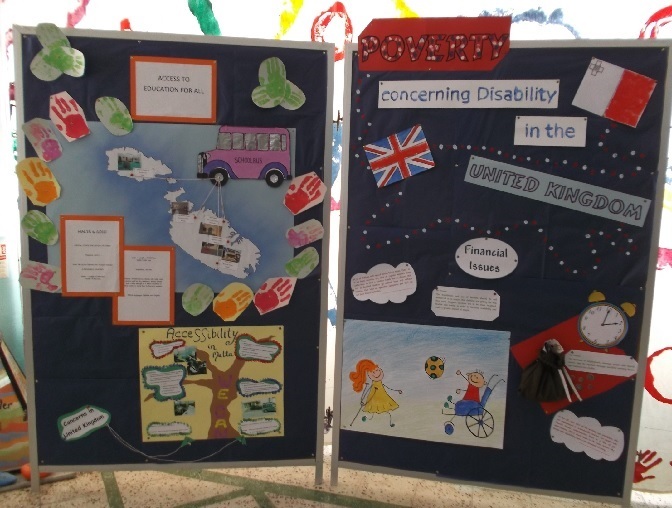 Our Centre tackled the topic Eradicating Poverty with specific reference to people with disability in the United Kingdom. Lack of Accessibility, Education and Financial Means were identified as the main problems that drive people with disability into poverty. Our job was to later present our concerns and proposals at the EkoSkola Young Citizen's Summit: Promoting wellbeing across the Commonwealth for present and future generations , held on 20th November. During the Summit, our work also contributed in the formation of a declaration that was officially presented to the leaders of the Commonwealth countries attending CHOGM. 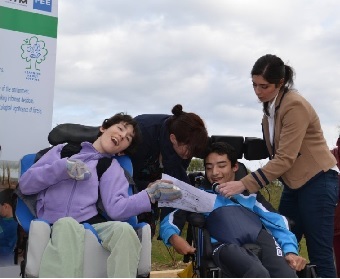 Thanks to this event, we also had the opportunity to have a twinning learning experience with a school for students with disabilities from Scotland. 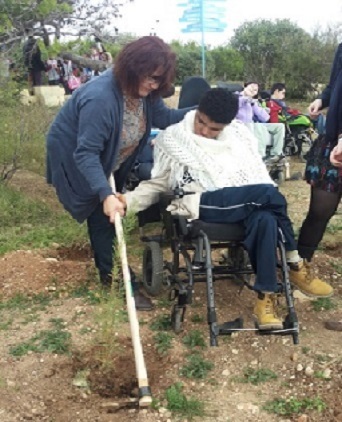 On December 4th, 2015, a group from our Centre participated in the CHOGM Commitment Grove planting event at Xrobb l-Ghagin. This was organised by LEAF, The President's Foundation for the Wellbeing of Society and Nature Trust. 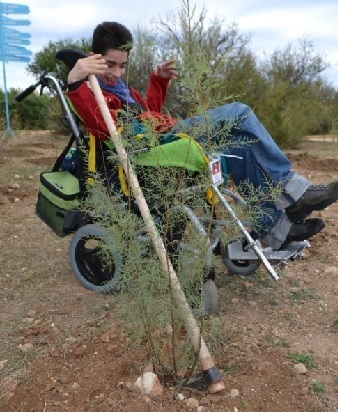 On the occasion, 53 trees, representing Commonwealth countries, were planted to promote the wellbeing of future generations. 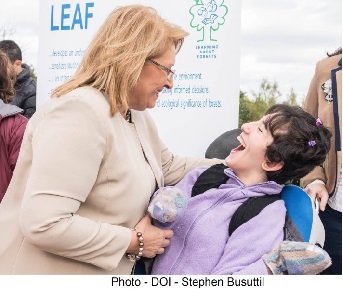 Two of our students also read out part of the official declaration presented by Maltese students to all officials attending the CHOGM in Malta this year.